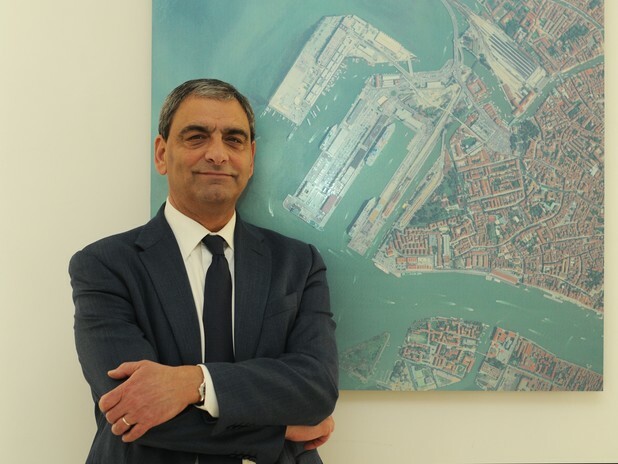 Martino Conticelli, Secretary General of the North Adriatic Sea Port Authority, was born in Venice in 1956; he graduated in Economics at the Venice Ca’ Foscari University. His experience with the Port of Venice includes many top management positions; first as manager of the Port Authority, coordinating, from 1997 to 2007, various department such as planning and development, finance, human resources, statistics and promotion. Then as Port Manager, while being responsible the port’s safety and security, he coordinated the port operators and institutions. From 2007 to 2011 he was Secretary General of the Port Authority of Trieste; during his office he completed the implementation of the port zoning plan as well as the reorganization of the work force and the restructuring of the financial economic structure of the body. From 1996 to date he has covered various positions, including manager of various state companies, gaining skills in the sectors of logistics and intermodality, railway transport, IT and supply of general services in the port. He also gained experience in the cruise sector, first as Manager of the passenger sector for the port authority and then as a member of the Board of Directors of the company Venezia Terminal Passeggeri S.p.A.